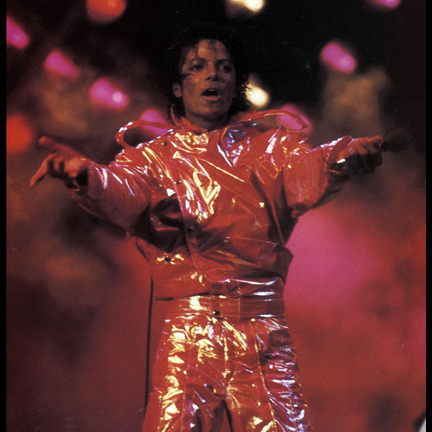 Legendary performer Michael Jackson wore this orange iridescent jumpsuit during the 1984 “Victory Tour”, which was the biggest and final North American concert tour ever performed by The Jacksons and set a new record for largest grossing concert tour at that time. 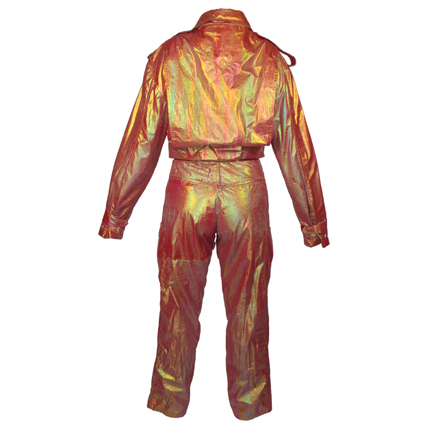 The uniquely constructed two-piece “tear away” jumpsuit is made of an orange vinyl parachute material with an iridescent coating and consists of an asymmetrical jacket and matching pants with multiple pockets and snaps. 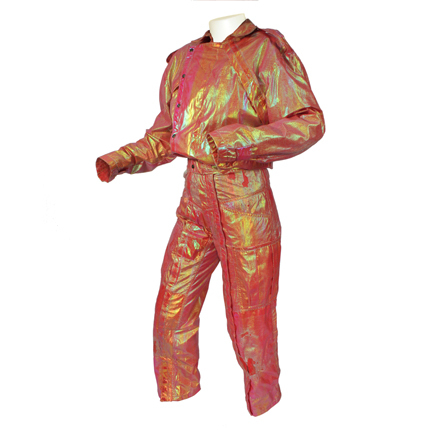 The specialty stage costume is rigged with Velcro along the waist, legs, and jacket front for easy removal during the performance. 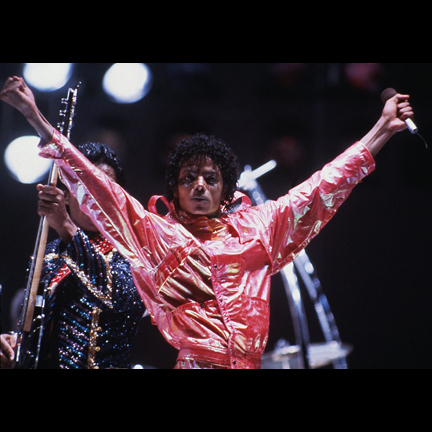 During the concert, Mr. Jackson would wear a separate costume change hidden under the jumpsuit. 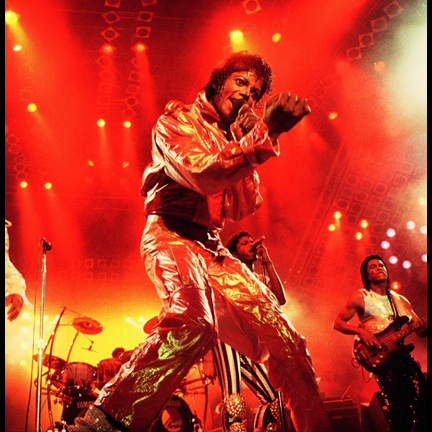 At a point in the performance, he would jump down a slide and tear the jumpsuit off, appearing moments later at the other end of the stage in the outfit he had underneath, creating a magician style illusion of an instantaneous change and reappearance in another place within just a few minutes. 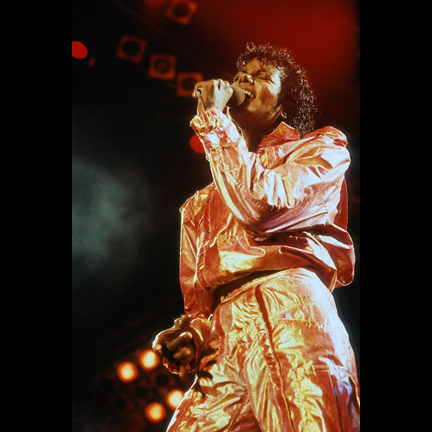 There is evident wear to the iridescent coating due to Mr. Jackson’s use of the slide during his quick-change. 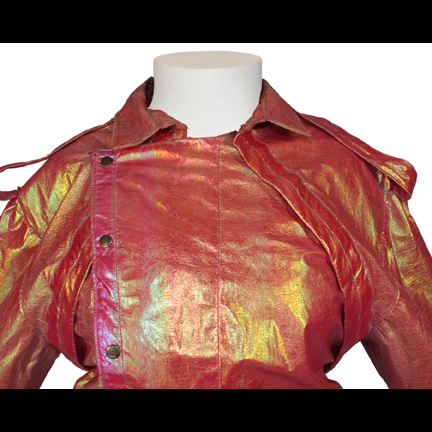 This item was custom made for Mr. Jackson and has the original tailoring label sewn inside the garment with Michael Jackson’s name clearly printed in black ink. 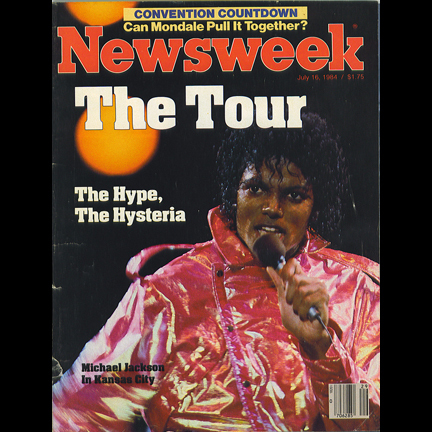 Mr. Jackson also appeared wearing this garment on the July 16, 1984 cover of Newsweek Magazine, which contained an extensive feature article about the Jacksons Victory Tour, and on the cover of “Michael Jackson: The Victory Tour”, a hardcover photo journal of the concert series. 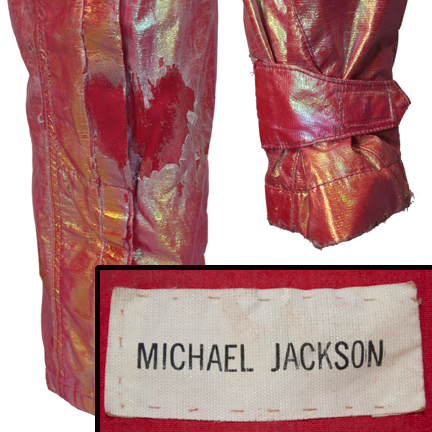 This unique specialty stage costume worn by the legendary King Of Pop will make an impressive addition to any collection of high profile music memorabilia. Presented by The Golden Closet, your premiere source for screen used wardrobe, props, and music entertainment memorabilia. This item is strictly being sold as a collectible piece of memorabilia. No rights are granted, impressed or implied. Replication or use of this garment and artwork are not permitted. Please note all images appearing here are the property of their respective owners and are utilized strictly for authentication and reference purposes.